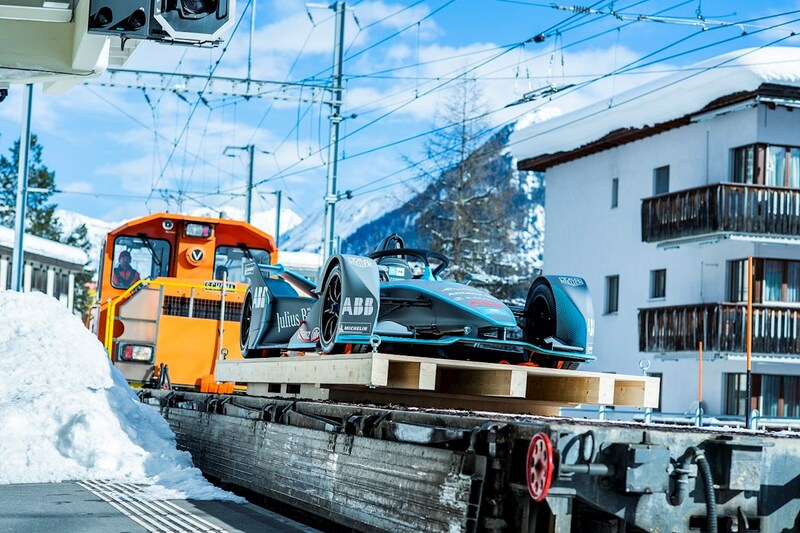 ABB’s rich technological history will be partnered with the company’s fast-evolving future at the World Economic Forum in Davos this week, as the latest ABB Formula E car – dubbed Gen2 – is transported into town on a train from the iconic Swiss Rhaetian Railway (RhB). With the Rhaetian Railway, whose fleet of Allegra trains rely on ABB traction systems to traverse some of Switzerland’s most challenging mountains in any weather, ABB made some of its first pioneering steps in e-mobility in the nineteenth century. 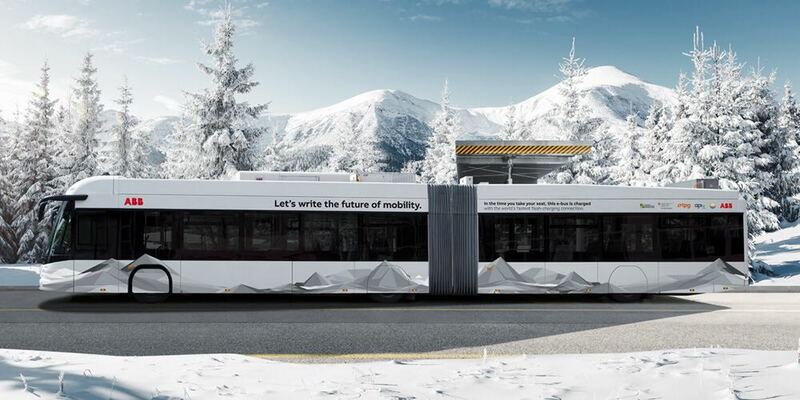 Fast forward to 2019 and ABB remains at the cutting-edge of EV and charging technology, highlighted by the public display of a Gen2 ABB Formula E car in the train station of Davos Platz for the duration of the World Economic Forum 2019. Together, the Allegra train and the Gen2 racecar forge a symbolic connection between ABB’s technological past, present and future that will showcase ABB’s position at the heart of global advances in e-mobility, before a gathering of the world’s most influential economic figures. The Gen2 car, new for Season 5 of the ABB FIA Formula E Championship, will be housed in a specially built glass display case in Davos Platz throughout the World Economic Forum 2019. One of its key technical advances is a battery that offers 90 percent more capacity than its predecessor for a weight gain of only 20 percent. Meantime the Allegra unit which transported the Gen2 car into Davos relies on an innovative ABB traction system that enables it to traverse Europe’s highest Alpine rail crossing – the Bernina Pass – regardless of weather conditions. The Allegra fleet of Switzerland’s Rhaetian Railway operate with traction converters and transformers from ABB. These 15 trains are optimally equipped for a network which encompasses the highest open Alp crossing for rail vehicles, at an altitude of 2,253 meters above sea level. RhB trains have to negotiate this exposed rail route, with its tight curves and some of the steepest adhesion sections in Europe, all year round, so the utmost in performance from the trains and their traction system is required. 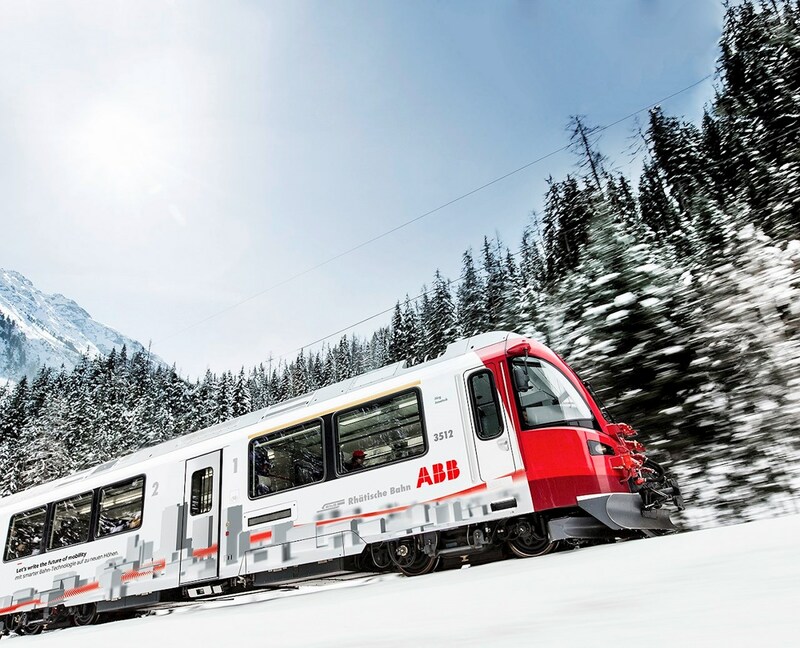 The 2019 World Economic Forum marks the fifth year an ABB Allegra train will run between Landquart and Davos, bringing delegates to the meeting. As part of the a new mobility concept in the city of Davos, this year an additional ABB Allegra train will run during the week of the meeting as a shuttle between Davos Dorf and Davos Platz with an additional stop right in front of the Congress Centre. ABB, the leading global supplier of electrical equipment for the rail sector, and the Rhaetian Railway have been inseparably linked since 1913. At that time, the Rhaetian Railway route to Lower Engadine was one of the first routes to be electrified with alternating current and put into operation. ABB and its predecessors BBC and Maschinenfabrik Oerlikon (Oerlikon Machine Factory), provided practically all electrical equipment for the trains and most of the traction power. The partnering of the Gen2 racecar and the Allegra train – each highly advanced electric vehicles in their respective fields – forms a strong and symbolic representation of ABB’s place at the forefront of a central theme at this year`s World Economic Forum: e-mobility. An e-mobility initiative, the TOSA eBus trial, which relied on ABB flash-charging technology, was undertaken at last year’s World Economic Forum. A temporary TOSA bus line was set up specifically for the forum participants and its reliability was validated for the first time in an alpine region under extreme weather conditions. ABB charging technology in TOSA buses enables their batteries to be flash-charged with 650 kW at selected stops within 20 seconds – while the passengers board and exit. This gives the bus enough power for up to eight kilometers of ongoing travel. TOSA buses in Geneva have reduced CO2 emissions by 1,000 tons annually. That successful TOSA trial project helped re-confirm Davos’s status as an “Energiestadt” (Energy City), as did the simultaneous installation of eight new ABB charging stations to support private e-mobility. Indeed, ABB and the City of Davos have worked together closely for more than a century, implementing concepts for sustainable and efficient transport in one of Europe’s highest-altitude cities. In the 1890s the company Brown, Boveri & Cie. (BBC), which would later become ABB, supplied a hydroelectric power plant in Davos with a generator, a transformer and other equipment. This power plant, which still produces electricity today, marked the beginning of a long-lasting partnership between ABB and Davos that is continuously expanding. The Landquart–Davos narrow-gage railway had been put into operation only a few years earlier – paving the way for the Rhaetian Railway. 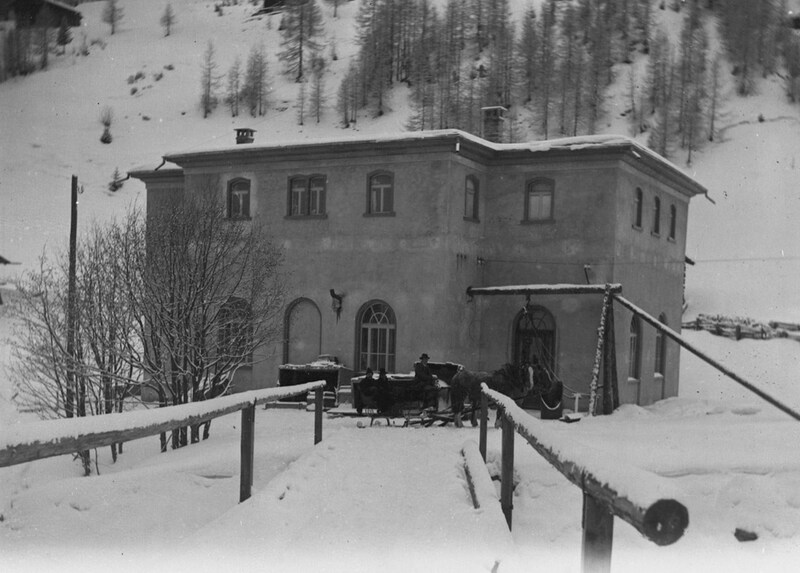 The rail network underwent considerable expansion until 1913 and was then electrified with BBC technology, helping Davos become the popular tourism destination it remains to this day. ABB remains intertwined with many other areas of transportation in and around Davos. Early projects included the railway line that went from Davos Platz to Schatzalp, which opened in 1924. This historic funicular railway still operates today. Electric motors move the two passenger cars via a single steel cable – they counterbalance each other, thus reducing the comparable level of propulsion force required. In the 1930s the electrification pioneer also equipped the Davos-Parsenn Railway, which is so essential to Graubünden. Davos quickly established itself as a popular tourist destination following World War II and from 1956 more than 400,000 passengers used the funicular railway in Parsenn. 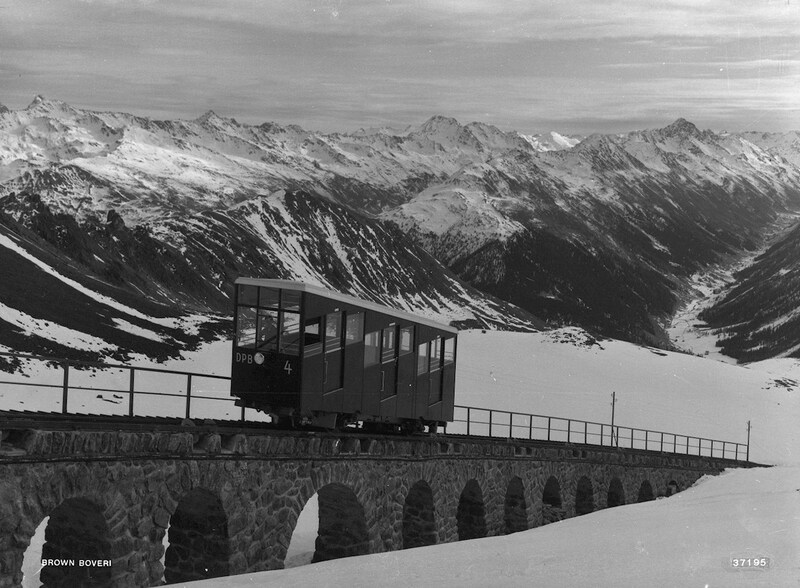 Other achievements in the Davos region include the narrow-gage locomotive christened the “Crocodile” by locals and the Davos Clavadeler Alp chairlift, which relies on ABB technology to this day. The collaboration between Davos and ABB continues to flourish. In 2016, for example, ABB provided the technology for the unique chairlift in the popular Klosters-Madrisa ski region, that is specially designed to meet the needs of children and physically disabled people. As a result of these long-standing relationship with ABB, the municipality of Davos, which was first awarded the Energy City label in 2001, continues to be at the forefront of research into solutions for challenges presented by the global sustainable mobility mega-trend. The status of Davos as an icon of sustainability meshes seamlessly with ABB’s own determination to be a digital technology leader committed to running the world without consuming the earth. Throughout the World Economic Forum 2019, ABB will be able to demonstrate technologies that have established it as an industry leader with the world’s most comprehensive suite of e-mobility solutions.